DECEMBER 18, 2017 UPDATE: This bill, and therefore this article, are now irrelevant as the Senate also passed a bill, then a committee was formed to reconcile the two bills. 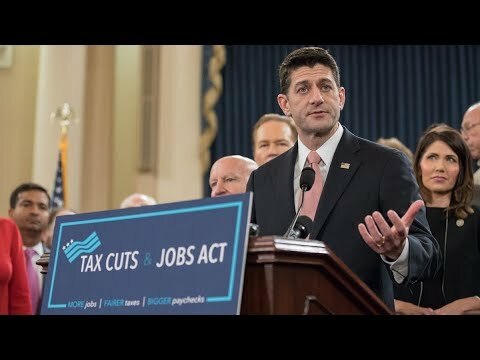 For an analysis of the revised bill, read https://ryanhlaw.com/revised-tax-cuts-jobs-act/. Important note: I am not a CPA or tax attorney and I don’t play one on TV. My explanations and descriptions of the proposed changes to the tax code are simplified (which is the goal of this blog). Nothing contained here should be construed as tax advice. I also want to note that I am a Conservative, and I am firmly against this bill. Tax brackets are reduced from seven to four, which could lower taxes for some. The standard deduction is doubled, which will make taxes easier for many individuals and families. Repeal of the Alternative Minimum Tax (AMT). Repeal of the estate tax. An increase in the child tax credit from $1,000 to $1,600. Corporate tax rate lowered from 35% to 20%. Removal of the personal exemption (currently $4,050 per person). You can find this removal on page 33 of the tax bill. The doubling of the standard deduction is supposed to make up for the removal of the personal exemption, which you get for each dependent and taxpayer on a return. In my family, with five children, we get seven personal exemptions. In 2016 the personal exemption was $4,050, which equates to $28,350. We would get this on top of the standard deduction, which was $12,600, for a total of $40,950. Our deduction under the new bill will be $24,000. This bill penalizes anyone with children, and certainly penalizes large families. Even with the increased child tax credit we still come out behind. I thought Republicans were in favor of families. Mortgage interest deduction would be capped on homes up to $500,000 (see page 100 of the tax bill). In many areas of the country $500,000 is an average home[i]. This only applies to new mortgages, so if you have a mortgage now and the value of your home is $1,000,000 or less, it won’t affect you. Republicans obviously don’t want you to buy a more expensive home. Under current laws, as long as you are using your home as your primary residency, you can move every two years and not pay capital gains taxes on the increase in value on your home. The new tax plan increases that to five years (see page 137). This will be devastating to the starter home market, and challenging for many others. For most individuals that tax will be 15% of the gain. For some reason, Republicans don’t want you to move very often. Graduate students often pay for their tuition by doing research and teaching undergraduate courses. In exchange, they are paid a wage (which average $20,000 – $30,000 a year) and receive a tuition waiver (which averages $12,000 – $50,000 a year). Under current law, the wages are taxed, while the tuition waiver is not. Under the proposed changes, both the wages and tuition waiver become taxable income (see page 98 in the tax bill). This will dis-incentivize students from going to graduate school, and raising their tax bill by a large amount, especially for those that go to more expensive schools. 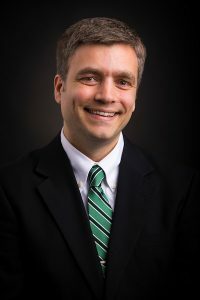 [ii] An analysis by Forbes shows that an in-state University of Florida grad student pays about $1,424 a year in taxes currently, but under the new plan they will pay $4,052 a year, which is 17.6% of their income. A Princeton grad student pays $2,849 (8.8% of their income) now, while under the GOP plan they will pay $13,499 (41.9% of their income)[iii]. That is a heavy, and unacceptable, tax burden on those trying to get an education. For an excellent analysis of how this would affect students, click here. Why do Republicans not want individuals to go to grad school? Elimination of state and local tax deduction (see page 105). If your employer offers adoption assistance that is not currently reported as income. This bill repeals that and it will now be reported as income. NOTE: This was included in the original bill (see page 142), but has since been removed. If your employer offers tuition assistance, it is currently not reported as income. That benefit will be repealed and it will now be reported as income (see page 96-98). Again, this will discourage individuals from going to school. If you work at an educational institution you or your children may get reduced or free tuition. Currently this is not reported as income. Under the new bill it will be (see page 96). For example, as an employee benefit my children get free tuition at Utah Valley University. Their tuition would be reported as income. The student loan interest deduction will be repealed (see page 96 – Section 221). The itemized deduction for medical expenses will be repealed (see page 113). The bill adds a “Chained CPI” to the tax code, which essentially means that Social Security income will grow at a slower rate than true inflation[iv]. Call them, e-mail them, post on their social media pages. Let them know you don’t support this bill. Really. I like this bill for a while from some bits I’d heard. Reading over some of these links you’ve shared really educated me on what the true implications are all around the board. I can’t support this tax reform. Not when I’ve studied what these deductions and other tax benefits do for families in my own hometown of Orem, Utah. I too encourage everyone to contact their lawmakers to express your personal disgust with this bill.